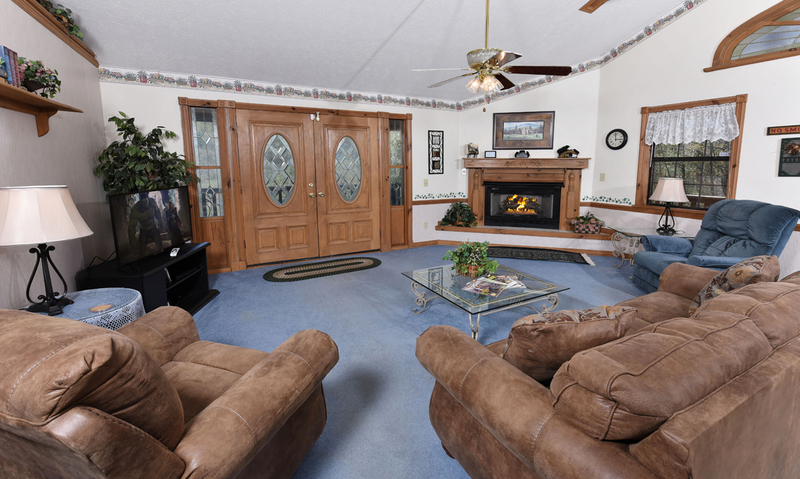 Roomy and welcoming, Mountain Paradise is your family’s little piece of paradise in the Smoky Mountain hills. This secluded cabin features gorgeous mountain views right from the back deck with only a 10-mile drive to downtown Gatlinburg. 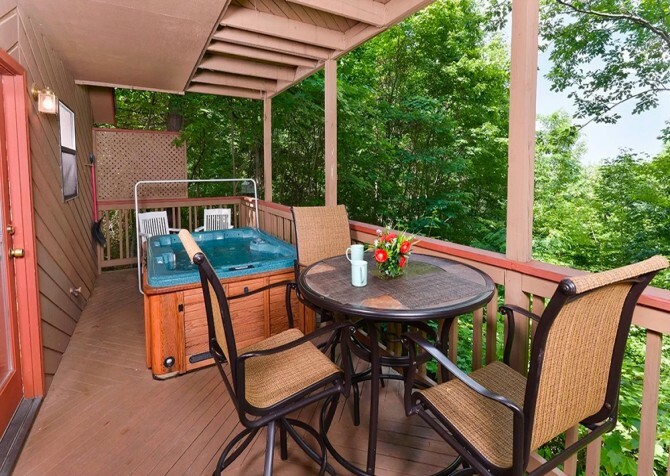 If you’re looking for privacy and a place where only the sights and sounds of the Smokies will distract you, Mountain Paradise is the right fit. 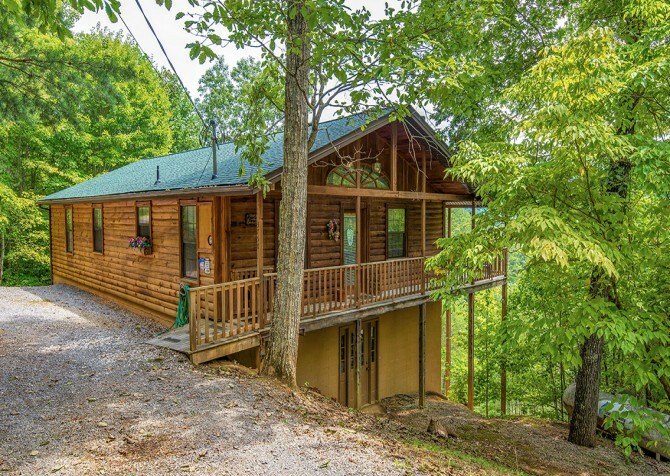 This 2-bedroom, 2-bath cabin will hold up to 5 guests, making it ideal for single family vacations, couples’ getaways, or a week away with a few friends. 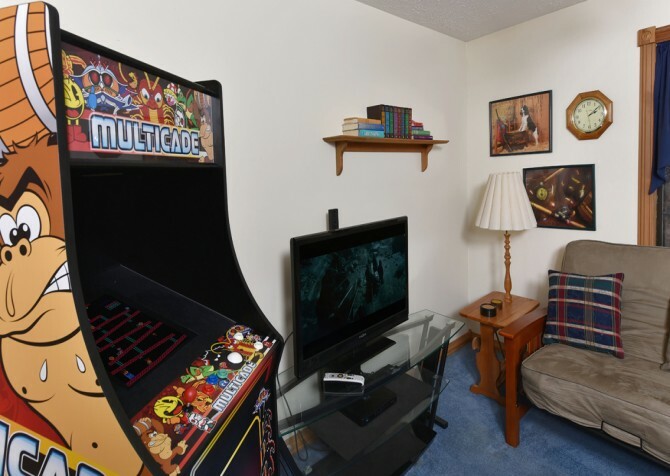 Inside, you’ll enjoy the homey décor, open-concept layout, gas fireplace, indoor jetted tub, full kitchen with Keurig coffeemaker, and comfortable rec room with a big screen TV and arcade machine. Take advantage of the 4 HDTVs with DirecTV with Showtime, HBO, and Starz for movie nights! 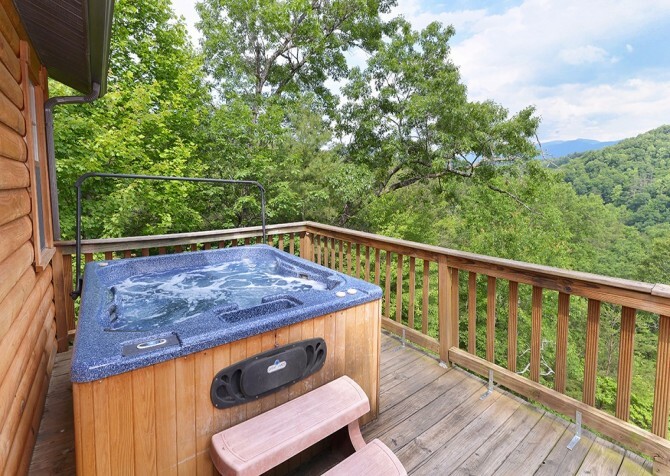 On the deck, besides the gorgeous views, Mountain Paradise offers a porch swing, rocking chairs, a new gas grill, and an outdoor hot tub that overlooks the Smokies. 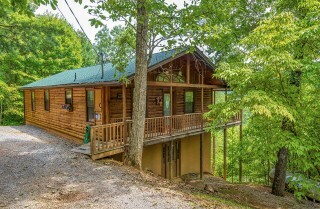 For those wanting to spend some quiet time in the Smokies, this cozy cabin nestled in the trees offers the privacy, comfort, and right mix of convenient amenities you’re looking for in a Gatlinburg cabin. 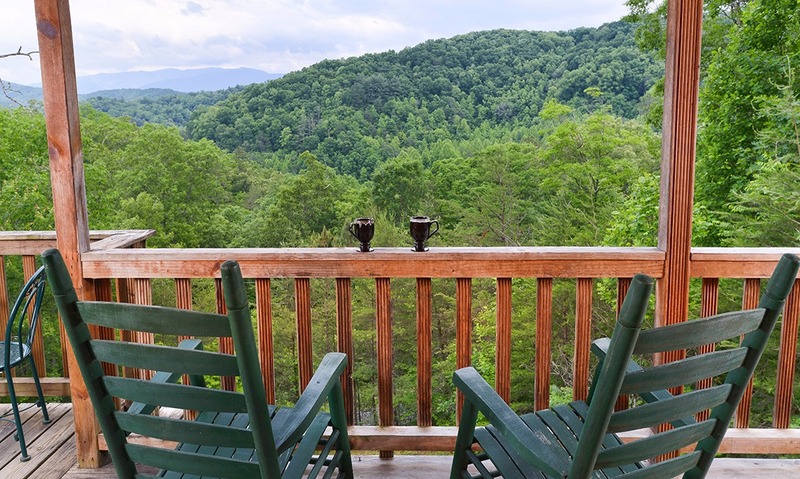 After a trip to The Village Shops in Gatlinburg or an afternoon stroll around the 8-mile historic loop that’s home to the Great Smoky Mountain Arts and Crafts Community, you’ll want a comfortable place to kick back and rest your legs. Well, say hello to the Mountain Paradise living room! 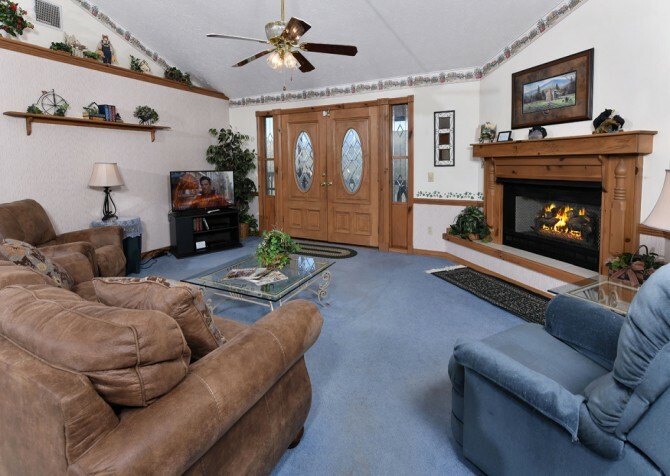 This large space with carpeted floors, high ceilings, and a cozy gas fireplace has all the right amenities to feel right at home. 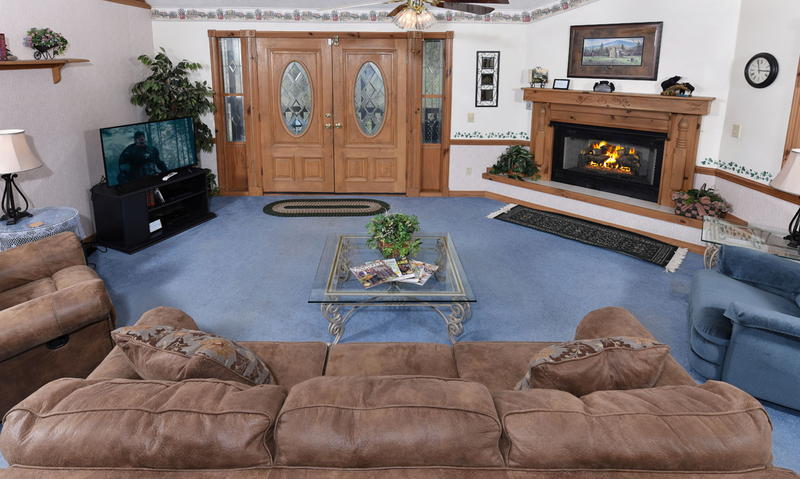 A full-size couch and 2 recliners offer plenty of comfortable seating for your 5-person group. Plan to watch plenty of movies with DIRECTV - HBO, Showtime, and Starz; spread your favorite board game on the coffee table; or simply enjoy a lazy afternoon with a good book on a cozy recliner. 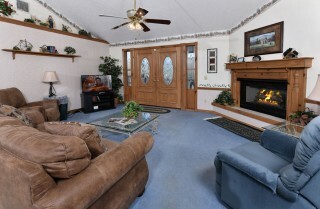 The living room also provides 2 end tables with reading lamps, a ceiling fan, a DVD player and VCR. Use all of the amenities you like as you make yourself at home in Mountain Paradise. Before you kick back for a relaxing evening in the living room, head on over to your spacious L-shaped kitchen inside Mountain Paradise, where you’ll find all the necessary equipment for game-day snacks and late-night cravings. Use the microwave to pop some popcorn before a movie or heat up leftovers from Cherokee Grill, Calhoun’s, or The Peddler Steakhouse downtown. 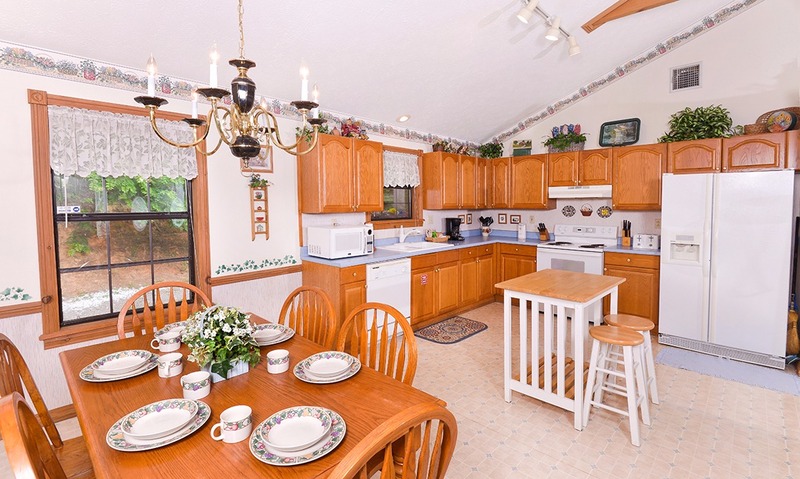 At Mountain Paradise, all your major appliances come in white, and several countertop appliances are supplied as well, including a Keurig coffeemaker and double toaster. For extra prep space during mealtime, take advantage of the center island with 2 bar stools. 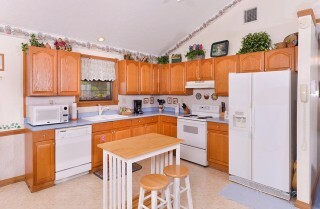 Mountain Paradise provides all your cooking essentials. All you need to remember is to stop by the grocery or the Gatlinburg Farmers Market on your way in! Adjacent to the kitchen inside Mountain Paradise is this cabin’s open dining space. 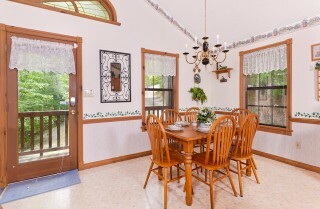 A 6-piece wooden table with windows on 2 sides provides a lovely and private dining option to you and your guests during your stay. Sometimes sitting around the table is just impossible to do with the hectic schedules we juggle back home. So take some time during your Smoky Mountain vacation to spend a few memorable moments around the table. Who knows, you might find that eating Mom’s homemade spaghetti and playing Monopoly until the wee hours of the morning turn out to be your favorite memories from your Smoky Mountain getaway! Essential to any family vacation is a space where the kids can play. That’s exactly what Mountain Paradise provides in its rec room. 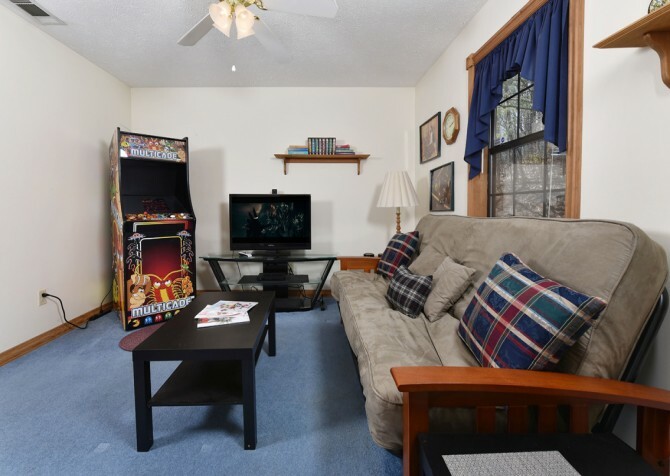 This separate play space features a futon, coffee table, big screen HDTV (one of the four in the cabin), and access to DIRECTV. You’ll also find an arcade machine! 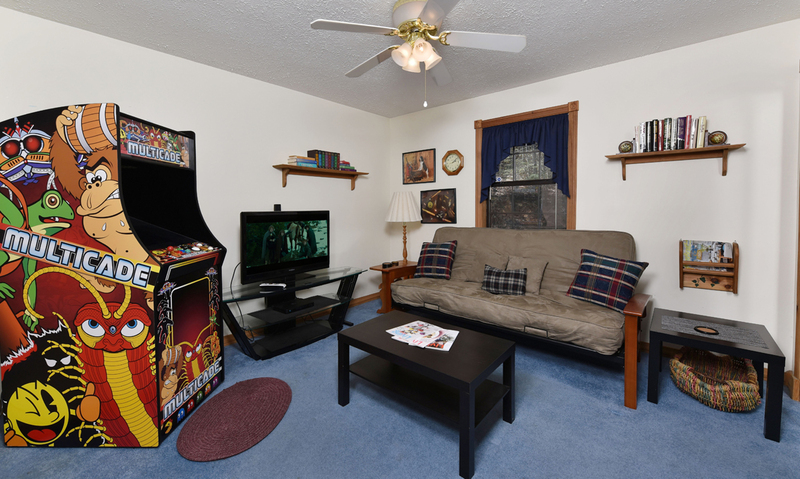 Let your kids enjoy their own arcade experience at the cabin before taking them to downtown arcades like Fort Fun on the Parkway. And even if you’re not bringing the kids, this space will come in handy for guests wanting to watch a different show than what’s on the TV in the living room or anyone looking for a cozy place to take a quick nap. However you use it, you’re sure to enjoy the rec room inside Mountain Paradise. 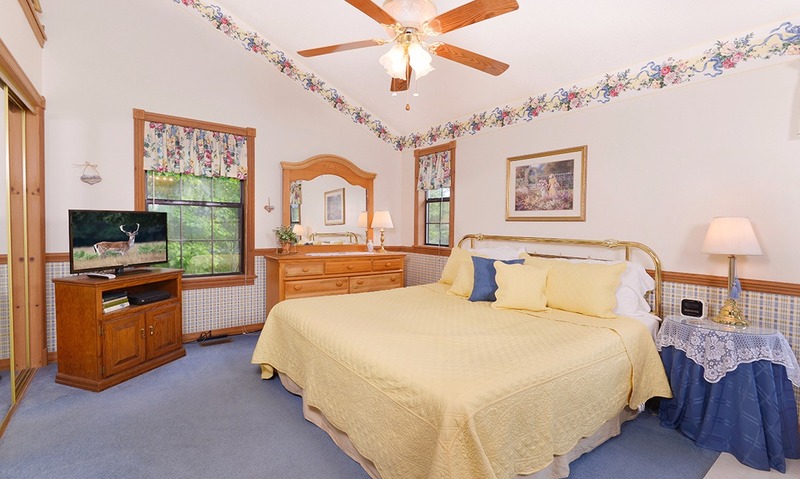 Mountain Paradise is designed for up to 5 guests, providing private and comfortable sleeping spaces for all with its 2 large bedrooms. Because this cabin is one story, both bedrooms are conveniently located on the main floor. Each bedroom has its own unique décor, while offering similar furnishings for your convenience. 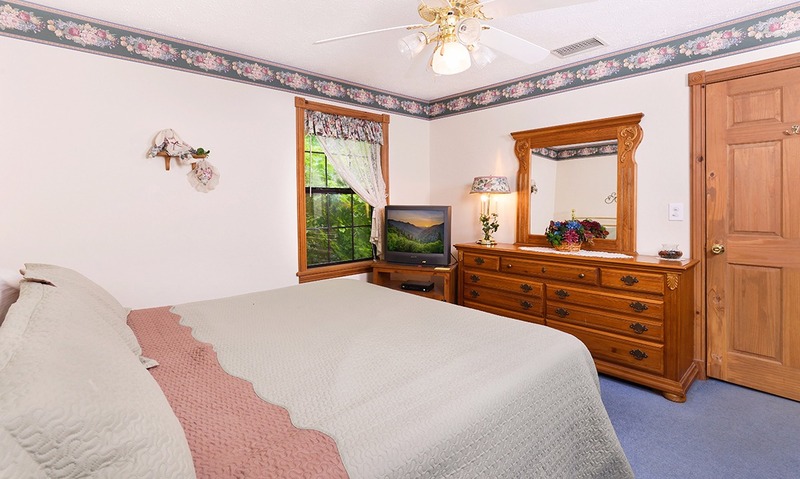 These include dressers, individual TVs, ceiling fans, windows, end tables, and reading lamps. 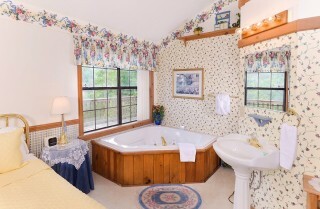 Each bedroom also has its own bathroom, and 1 comes with an indoor jetted tub! Use this to soak away any stress that’s followed you to the Smokies or to relieve your muscles after a long hike in the Great Smoky Mountains National Park. 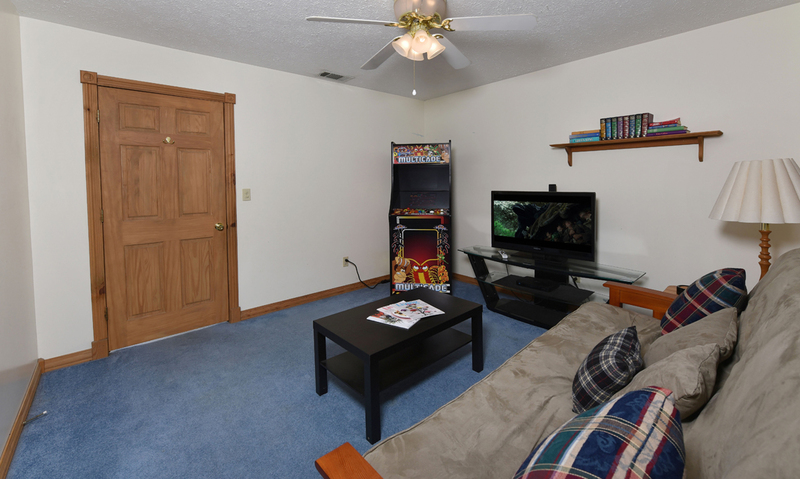 If you need additional space, there's a futon located in the game room that's perfect for any child! 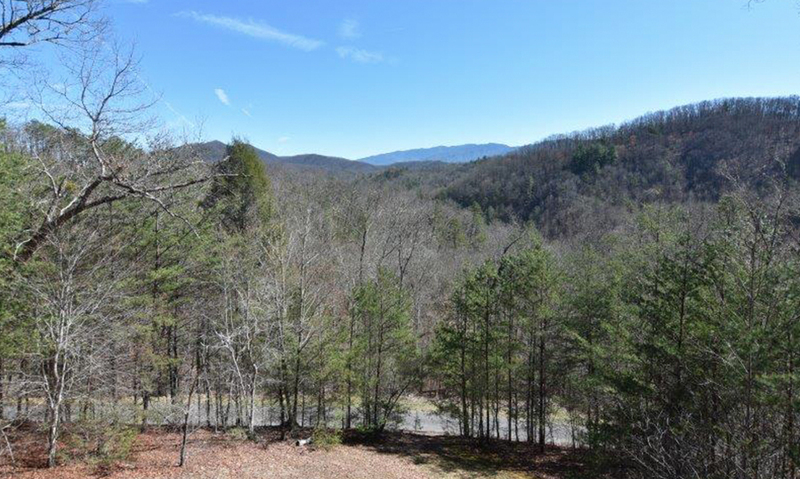 Along with the spacious interior and comfy living spaces, the highlight of a stay at Mountain Paradise is the view you’ll enjoy right from your back deck! 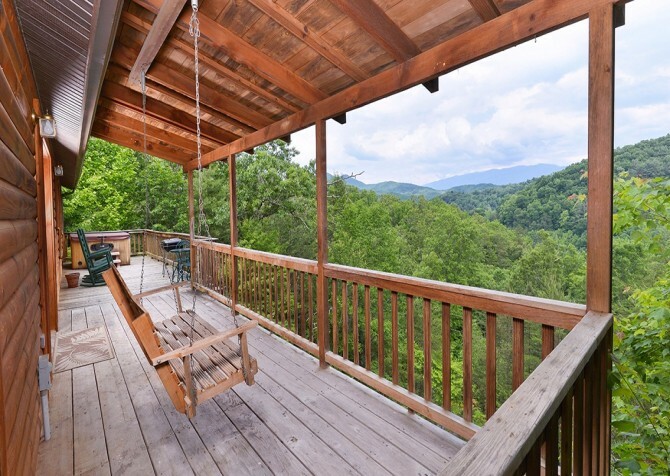 You won’t have to wait until fall or winter, after the leaves have fallen from the trees, to see impressive Smoky Mountain views from this Gatlinburg cabin. 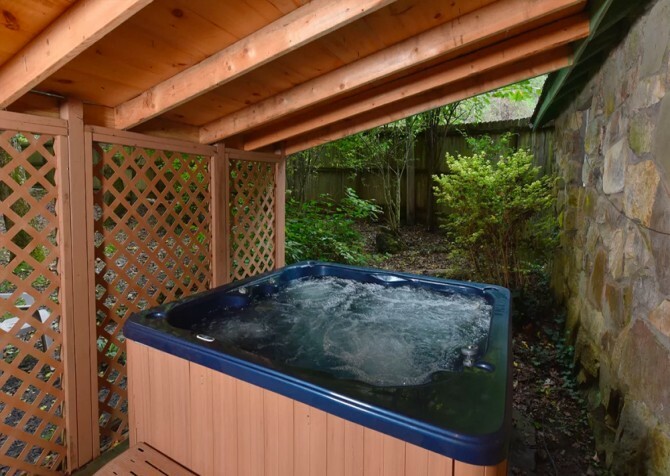 And Mountain Paradise offers several different spaces to enjoy them from, including an outdoor hot tub, rocking chairs, a swinging bench, and a 2-piece patio set. So grab a cup of coffee and step onto your back deck when you’re ready to be surrounded by the tranquility of the Smokies. Mountain Paradise offers privacy, comfort, and—best of all—unforgettable views! For your convenience, Mountain Paradise also offers access to a washer and dryer and high speed internet—a must-have so you can keep up with the latest Gatlinburg events on our Cabins for YOU blog. 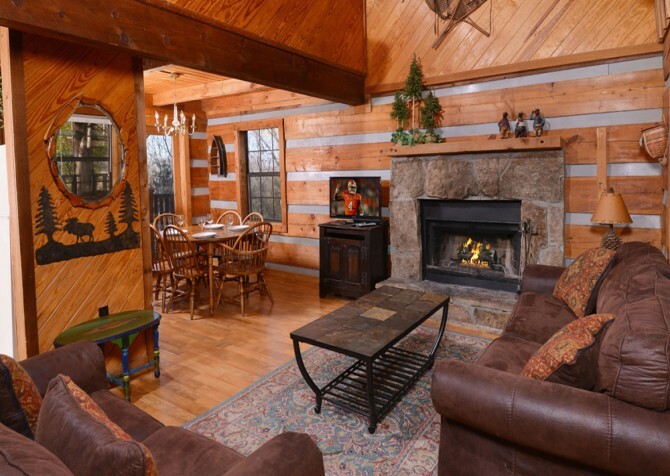 The flat driveway provided by the cabin makes it easy to get in and out as you visit downtown attractions, and Mountain Paradise’s new gas grill means Memorial Day grill outs and summer barbecues can stay on the agenda during your Gatlinburg stay. 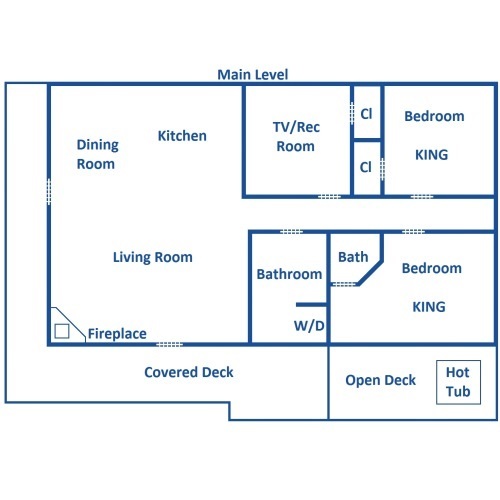 Enjoy all these amenities plus the ones we’ve already listed during your 4-person retreat to Mountain Paradise! 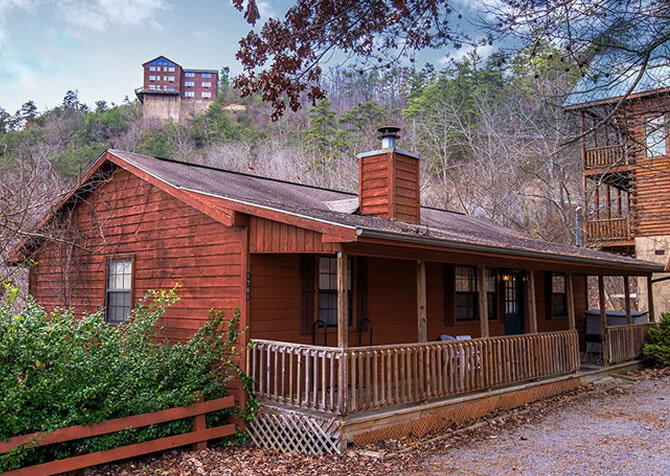 Mountain Paradise is a secluded cabin in the Smoky Mountain hills, but when you’re ready for some downtown fun, you’ll have only a 10-mile drive to the heart of Gatlinburg. Check out popular attractions for families and groups while you’re in town. 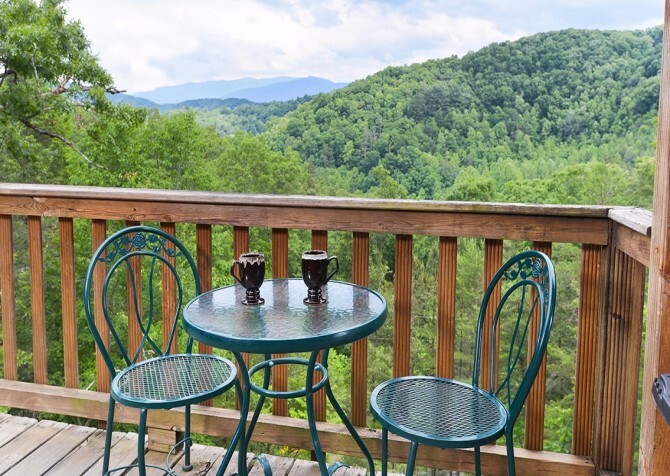 And don’t miss the wide variety of Smoky Mountain restaurants (specialties to look for include barbecue, pancakes, and Southern-style cooking). For more information on a few of the closest attractions to Mountain Paradise (between 5 and 7 miles away), check out our list below. Take home a unique piece of Smoky Mountain art after a visit to the Jim Gray Gallery, only 5 miles from Mountain Paradise. This gallery also features Ogle’s Broom Shop, selling handmade brooms from third-generation broom makers. Offering the first eco-friendly zipline adventure in the Smokies, Legacy Mountain Zipline will take your family vacation to new heights during your stay at Mountain Paradise! Enjoy 7 ziplines located on 400 acres of beautiful Smoky Mountain property. 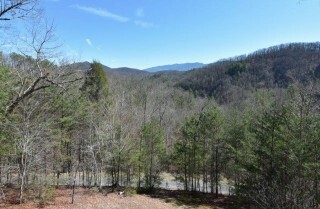 Another zipline attraction, Foxfire Mountain offers the highest zipline in the Smokies: the Goliath! Other exciting Foxfire adventures include off-roading and crossing America’s longest swinging bridge. 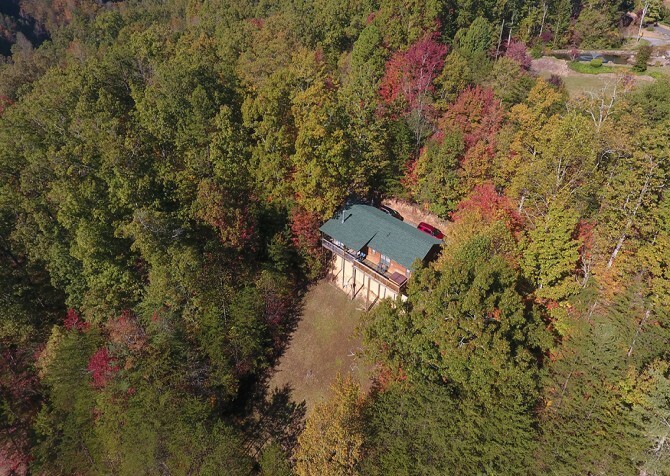 "This cabin is in a great location and has a spectacular view the cabin has a beautiful inside decor and the hot tub is so relaxing"
Thank you so much for the review! We are so glad to hear you enjoyed the views and can not wait to have you stay with us again soon! "The view is amazing !" 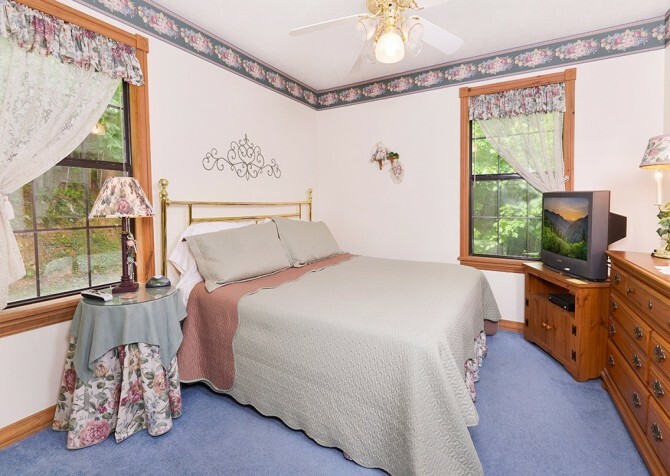 "The cabin we were in was excellent! It was clean well decorated and had all the furnishings you would find in your own home. It was free to play which made it even better. TVs in the bedrooms made my son feel like he was in his own room. Your view was spectacular for the area. The road to the cabin was well paved and excellent shape. The driveway could park 10 cars easily, and it was easily accessible to get in and out of. The only thing you need is your clothes and food, and you’re ready for a relaxing time. The weather was very hot while we were there so I did not get to try the hot tub, but it looked great. The only fault with the cabin was having to leave and return home." 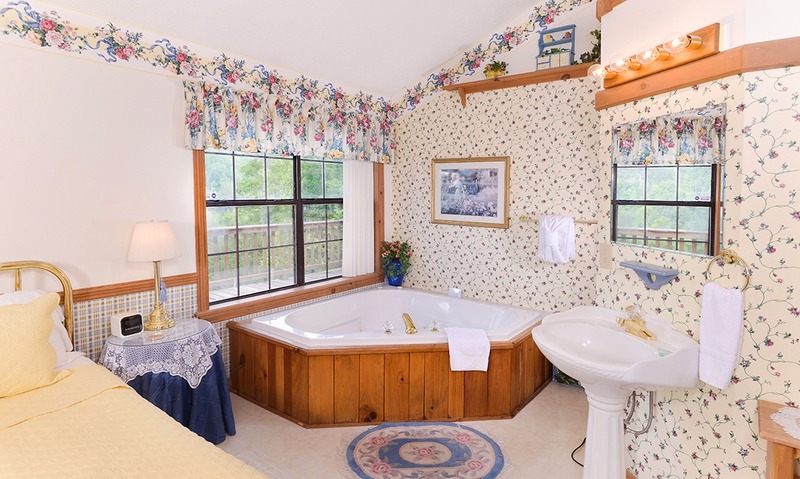 "We stayed at Mountain Paradise. 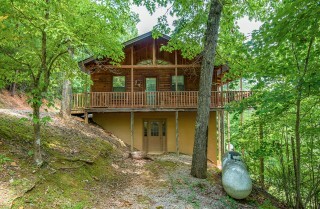 The cabin was amazing. I loved watching movies on the couch. They provide everything, including dish soap, plenty of towels and trash bags. The view was breathtaking with a great porch, and the hot tub was nice. The place was very clean and easy to get into. We also had cable and air conditioning. All in all, it exceeded my expectations, and I would definitely go back."